My Medical Practice Laboratory: Do I Need a Chemistry Analyzer? 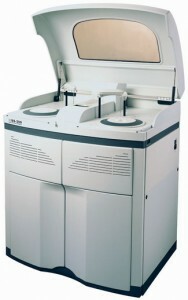 What does a chemistry analyzer analyze? Chemistry tests fall into two broad categories, routine (also called general) and immunochemistry. This article will address routine chemistry testing in a medical practice laboratory and the next installment in this series will cover immunochemistry testing. Mixing serum or plasma with chemicals that create color when they react with whatever is being measured. Measuring the effects of enzymes on substrates. The most commonly ordered individual tests are glucose, potassium, and total cholesterol. Many physicians have some type of lab testing capability in their practices, with most practice labs classified as Waived Labs, which means having a Certificate of Waiver. This Certificate enables a practice to perform simple tests including tests such as urine dipsticks, rapid Strep A for sore throats, Mono Tests, pregnancy slide tests on urine, and Rapid Flu tests. There are no personnel qualification requirements, and the only regulation is to “follow the manufacturer’s instructions” on the test packages. In order to obtain a Certificate of Waiver, an application form (the CMS116 form) must be completed and submitted to CLIA at the state CLIA office. The CLIA office will issue a CLIA identification number and the practice will receive a bill for the Certificate of Waiver for $150. Life is wonderfully simple at a Certificate of Waiver level. 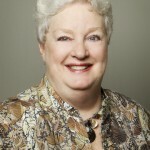 Laboratory Consultant Libby Knollmeyer: What is the Difference Between CLIA and COLA? CLIA (Clinical Laboratory Improvement Amendments of ’88) is the basic set of regulations governing all laboratories that test human specimens (with rare exceptions). It is the minimum standard for labs. CLIA has given “deemed status” to several other agencies allowing them to accredit labs and inspect the labs in CLIA’s stead. COLA is one of these agencies (as are CAP and The Joint Commission). All accrediting agencies must be at least as strict as CLIA, or to phrase it a different way, all accrediting agencies must have the same regulations as CLIA does, and then may add additional regulations on top of the CLIA regulations if they wish. There is little difference between CLIA and COLA from a regulatory viewpoint. COLA enforces a few more requirements than CLIA does, but the differences are relatively minor. 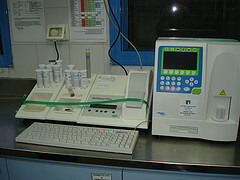 One example is that COLA requires correlation studies be done when a new instrument is installed to compare the new instrument to an old instrument or a reference lab method and CLIA does not. Another is that CLIA requires an overlap of old control lot numbers to new control lot numbers but doesn’t specify a number of times they must be run together; COLA requires overlapping old and new 5 times. So there are differences, but it is pretty easy to see that the differences in regulations are not extreme. CLIA publishes their Interpretive Guidelines on the Internet for all to read so you have ready access to the information as to how a regulation is going to be applied; COLA does not and will not share their Interpretive Guidelines (they consider it proprietary information), so understanding how a questionable regulation will be applied is left to a guess or a phone call to COLA headquarters in Maryland. From a personnel standpoint, there is no difference between CLIA and COLA. COLA follows the CLIA requirements for personnel qualifications and responsibilities, both for moderately complex labs and for highly complex labs. From an inspection standpoint, there can be notable differences, depending on the state in which the lab is located. CLIA is a federal program but is administered at the state level in each state. While the regulations they enforce are the same, the quality of the CLIA departments from one state to another varies widely. COLA is a nationwide program and the inspectors move freely between states as needed to inspect labs. Both agencies train their inspectors, so in a perfect world all inspections would be the same within an agency. Unfortunately, however, that is not the real life situation. The quality of the inspectors and the inspections they perform can vary widely ”“ in each agency. In many states, CLIA is short-staffed so delays are common. On the whole, COLA is probably a little more uniform throughout the country than CLIA is, but CLIA is usually more dependable with post-inspection routine and follow-up than COLA. The costs associated with CLIA and COLA are pretty much the same. Both base their costs on the number of non-waived tests performed in a year’s time. All labs pay CLIA a Certificate Fee””the cost of renewing the CLIA identification number. And all non-waived labs pay a Compliance Fee to cover the cost of their inspection, but the Compliance Fee is billed by the inspecting agency, so if you’re inspected by CLIA the Compliance Fee will be billed by CLIA and if you are accredited by COLA, the COLA fee covers the cost of the inspection. Several states have state lab regulations on top of CLIA regulations that are enforced. Pennsylvania, New York, Massachusetts, Maryland, Illinois, and California are several examples. Whenever there is state licensure of labs in addition to CLIA licensure, the fees will usually be higher because there will be both a CLIA and a state fee. If your lab is located in a state with additional state regulations, be sure and find out how the state regulations differ from CLIA and/or COLA (depending on which you choose for compliance). And be aware that when CLIA amends a regulation to make it less strict, COLA and/or the state may not follow suit. Also be aware that if your lab fails to maintain accreditation with one of the agencies other than CLIA, they will lose their CLIA Certificate as well unless they can pass a CLIA inspection. The accrediting agencies carry just as much weight as does CLIA. Whenever I am asked which agency I recommend for a new lab, my answer is “it depends”¦” In some states, CLIA is absolutely the best choice (North Carolina is one of those states) because the department is very well run and the inspectors are very well trained and highly accessible when assistance is needed. In other states, CLIA is a disaster and COLA is absolutely the best choice (California and Louisiana being two examples). In the great majority of states, it really doesn’t matter which agency is chosen because overall they both do excellent jobs. Most medical facilities have refrigerators, but do you know the guidelines surrounding refrigerators and freezers? Laboratory Consultant Libby Knollmeyer debuts on Manage My Practice with answers to your most-asked questions. What kind of refrigerator do I need? In most cases, a good quality household refrigerator will suffice if the cubic footage is adequate for what needs to be stored and nothing has to be frozen. If frozen storage is required, either a NON self-defrosting freezer or a freezer designed to maintain constant temperatures will be required. Household refrigerator-freezer combinations are generally not suitable for critical frozen storage since they must get above the freezing point temperature to self-defrost. While most freezer compartments of refrigerator-freezers will maintain -15C (except for the self-defrost cycle), many vaccines and quality control materials require frozen storage at -20C or colder, which a household refrigerator-freezer will NOT maintain reliably. When frozen storage is required at -20C or below, a freezer designed to maintain extra-cold temperatures will be required. There are some under-counter models which are relatively inexpensive and require much less floor space than upright freezers or chest freezers. If a household freezer is purchased for reagent, quality control, or vaccine storage, a chest freezer is recommended because the cold air does not fall out of the unit when the door is opened and thus the temperature is more stable. What about small dormitory refrigerators? Small dorm refrigerators may be used when temperature stability is not a critical issue, but be aware that they do not maintain constant temperatures nearly as reliably as larger refrigerators or refrigerator/freezer units. These are great for any beverages you keep specifically for patients or for cold packs for injuries or injections. How should I monitor the temperature of the refrigerator or freezer? If refrigerated or frozen storage is required by a manufacturer, staff members should monitor and document the temperature of the refrigerator and/or freezer on a daily basis. If the monitored temperature is outside the range provided by the manufacturer, corrective action must be taken and documented to remedy the problem. For refrigerators and freezers, thermometers suspended in a liquid solution are preferable to one that measures the temperature through the air in the unit since they do not react immediately to the opening of the door or temporary removal of the thermometer to be read. The thermometer used should be either National Institutes of Science and Technology (NIST) certified or NIST traceable. The laboratory or med-surg vendor can assist with selection of a reliable and acceptable thermometer. Remember that state-supplied vaccine programs as well as accreditation agencies such as Commission on Office Laboratory Accreditation (COLA), Clinical Laboratory Improvement Amendment (CLIA) and Joint Commission on Accreditation of Healthcare Organizations (JCAHO) require cooling/freezing documentation. Many vaccines and medications are also extremely expensive, so it behooves the practice to protect that investment. A sample form to document temperatures is available here. Transfer the materials to a refrigerator that is operable, if possible, or keep everything in coolers with ice packs. For frozen materials, especially medications, it is imperative that the frozen state be maintained to preserve the integrity of the materials. Long term power outages (e.g. hurricanes or major winter storms) are a real problem. If that is common in the practice’s area, it would be worth the money to purchase a generator. Could the power go out without me knowing it and the contents be compromised? Yes, the penny method is to sit a penny on top of an ice cube or small container that you’ve frozen water in. If the power is out long enough for the contents of your freezer to thaw, the ice cube will melt. This will cause the penny to drop to the bottom of the ice cube tray – so check the position of the penny daily. 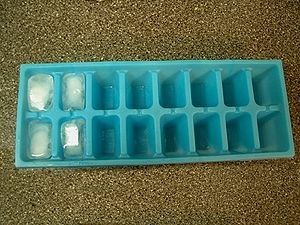 If everything has refrozen but the penny is at the bottom of the ice cube, then everything probably thawed to an extent where it is now unsafe to use. What is the rule about storing medical supplies, medication or vaccines in a refrigerator or freezer with drinks or food?